Just weeks before Rep. Robert Francis "Beto" O'Rourke (D., Texas) officially launched his Senate campaign, he sold property valued at over $1 million to a wealthy El Paso family that has donated thousands of dollars to his political campaigns. 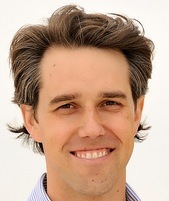 O'Rourke, first elected to the House of Representatives in 2012, announced last month after weeks of speculation that he would challenge Republican Ted Cruz for his Senate seat in 2018. The previous month, O'Rourke prepared for the campaign launch by unloading valuable property that his family had owned for more than three decades. The Imperial Arms apartment complex, owned by O'Rourke through Imperial Arms LLC and valued by him at between $1,000,001 and $5,000,000, was sold on February 27, 2017, according to legal documents obtained by the Washington Free Beacon. The recipient of the building was Patricia "Isha" Rogers, who has contributed thousands to O'Rourke since his first run for Congress in 2012 and has already given him $2,500 this cycle. Also contributors to O'Rourke are Rogers's sister Dede Rogers, who has given $11,500 including $5,000 this cycle, and brother Jonathan Rogers, who has given $5,100. Shady real estate deal between incumbent elected official and a campaign contributor...that's pretty Texas. "I've known them for a really long time," O'Rourke said. "Her dad Jonathan Rogers was mayor of El Paso when my dad, Pat O'Rourke, was county judge in the early 1980s, so I've known her since we were kids." You're saying that the son of a former county judge (and current U.S. Congressman) made a shady real estate deal with the daughter of the former mayor of the largest city in said county?!? Bottom Line: Never, ever, ever forget that the primary political activity in the state of Texas is to grease the skids for shady real estate deals by the politically favored.